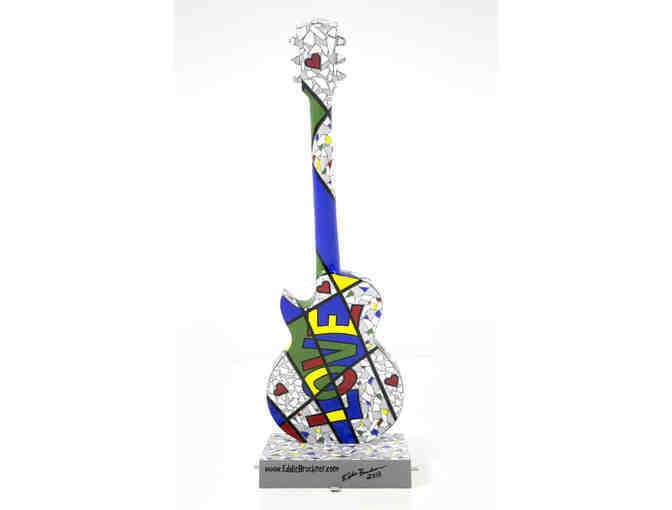 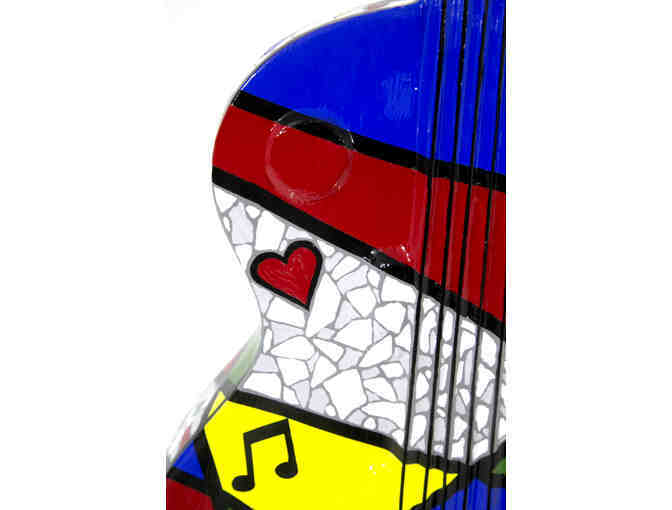 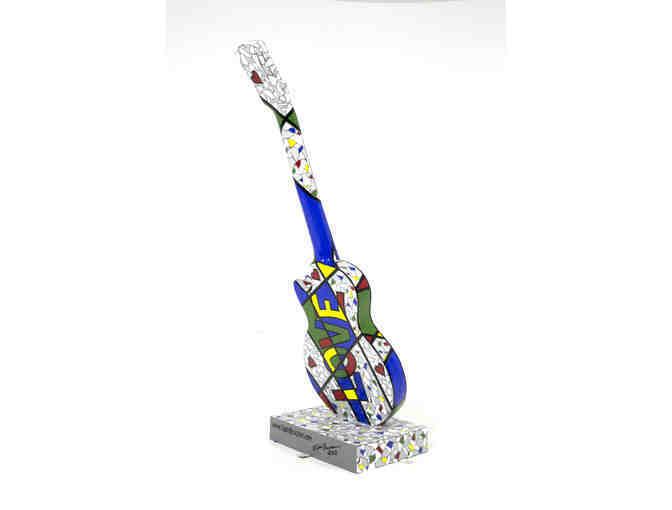 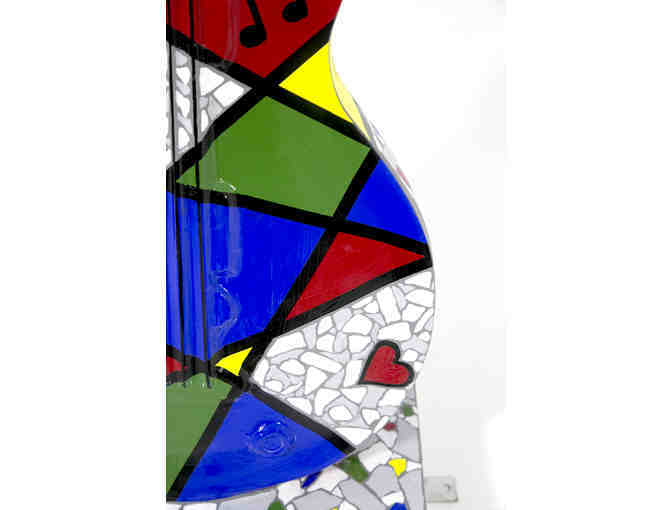 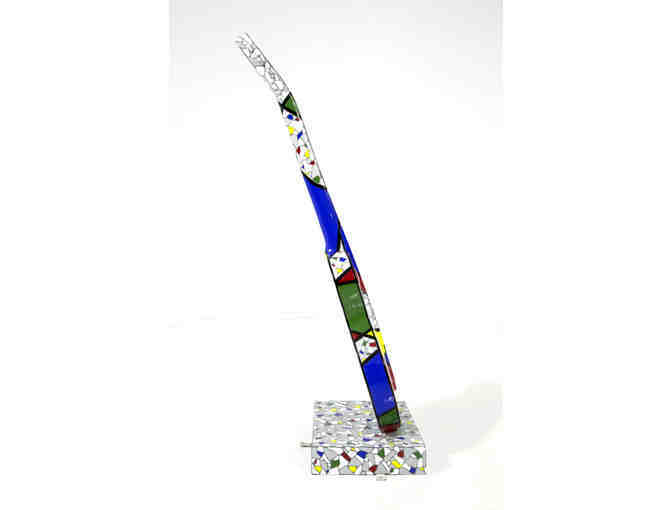 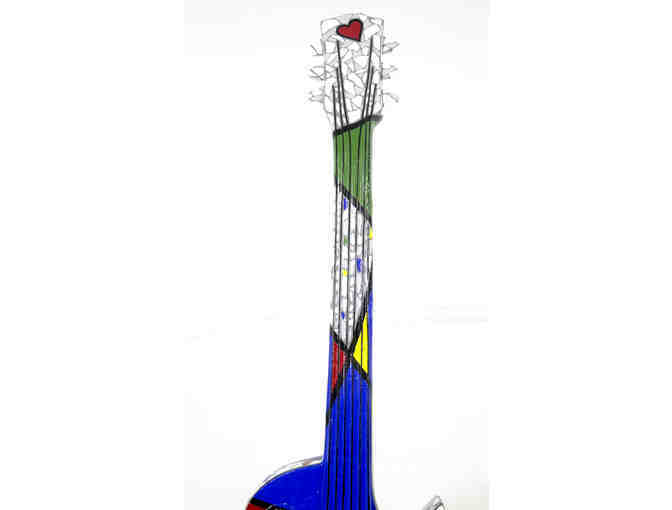 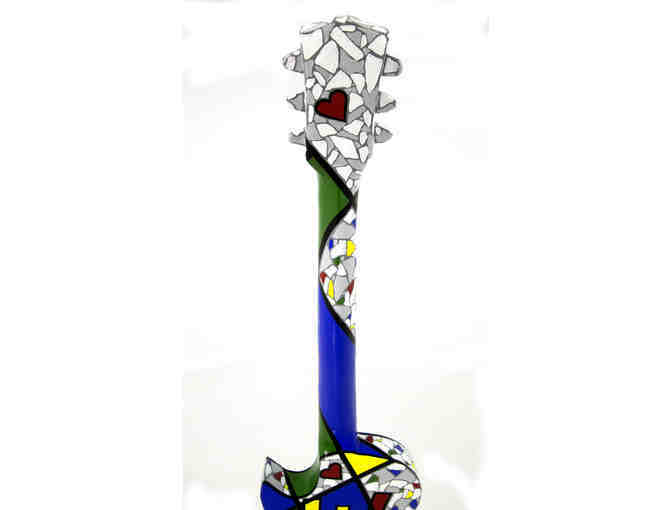 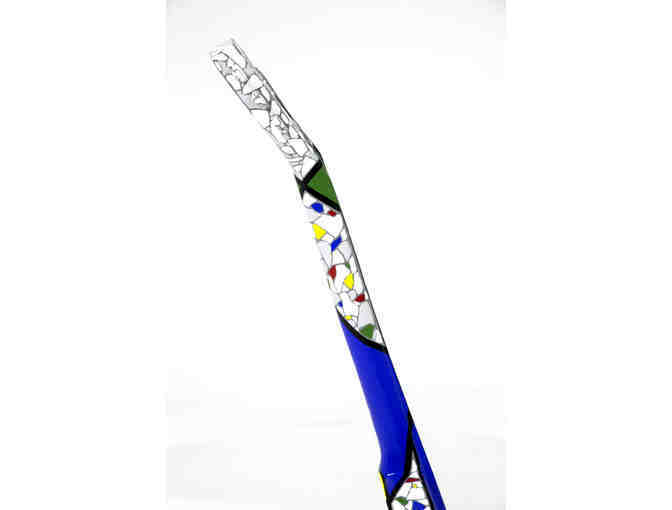 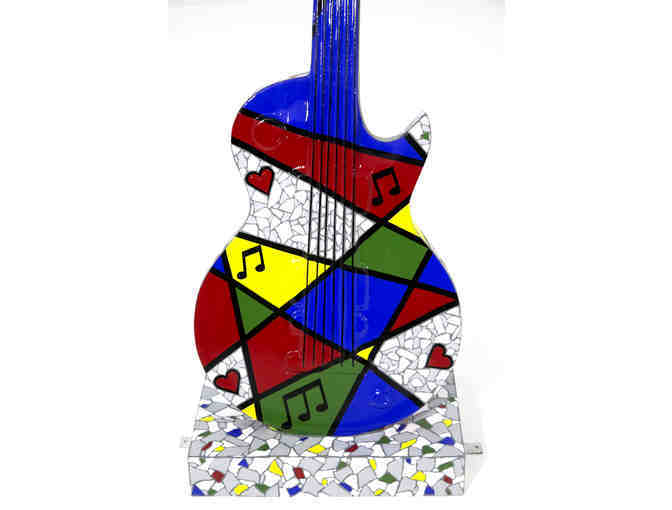 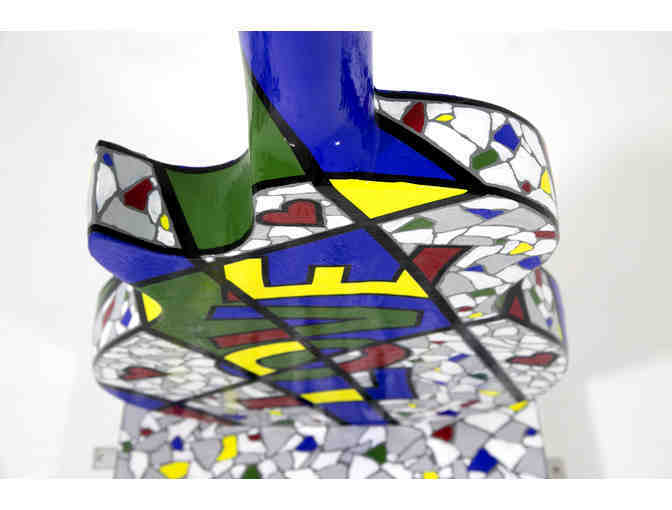 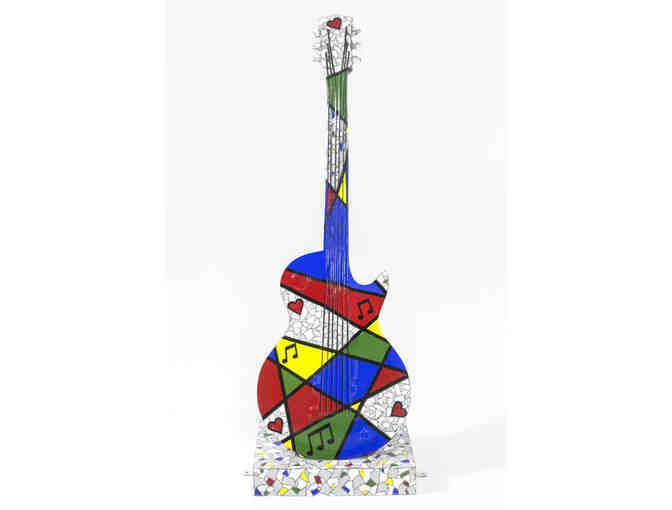 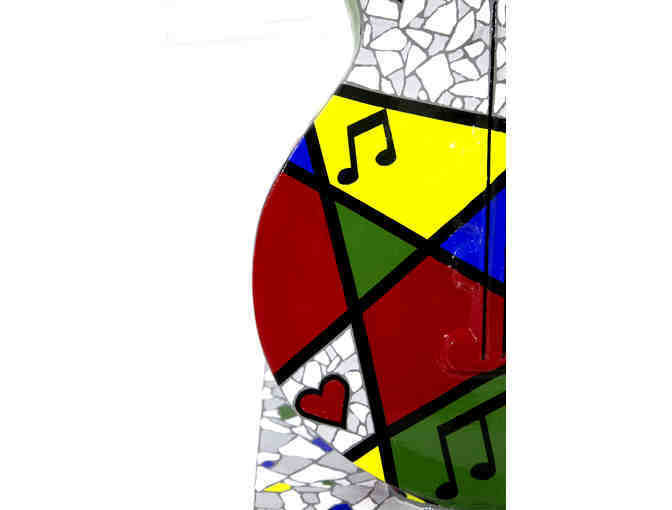 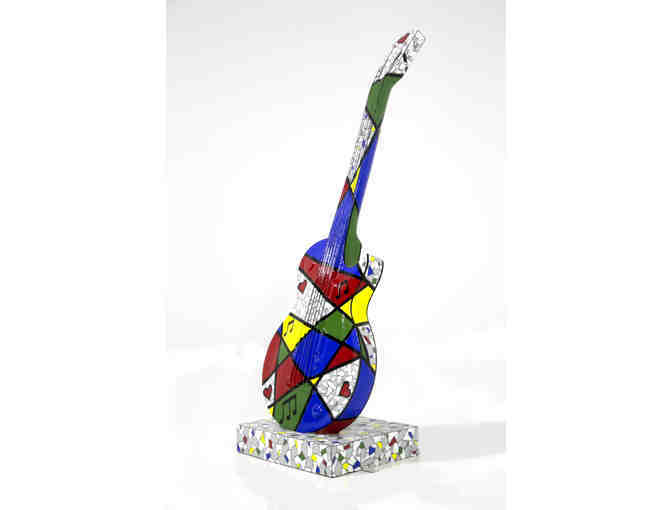 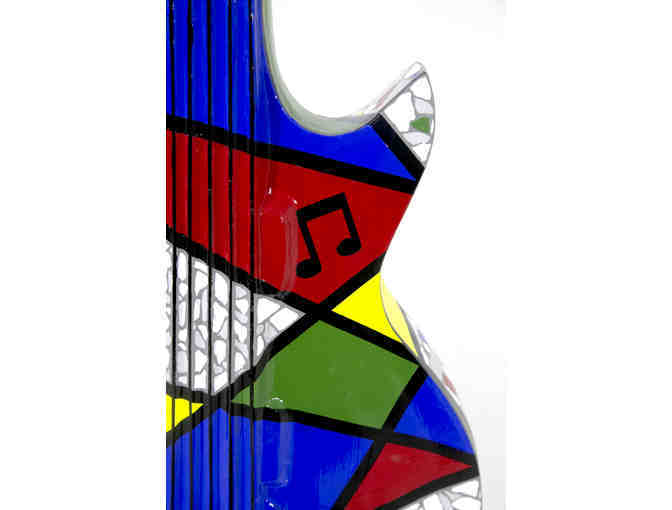 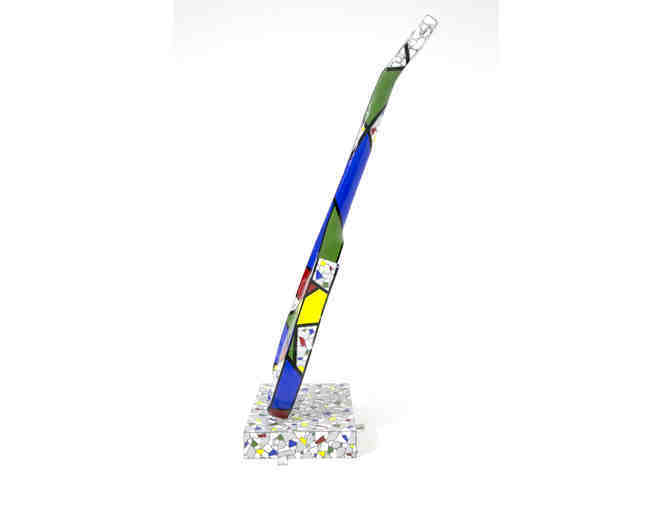 This 5-foot fiberglass electric guitar focuses on lines, shapes, vibrant colors, and the integration of an illusion of mosaic tile. 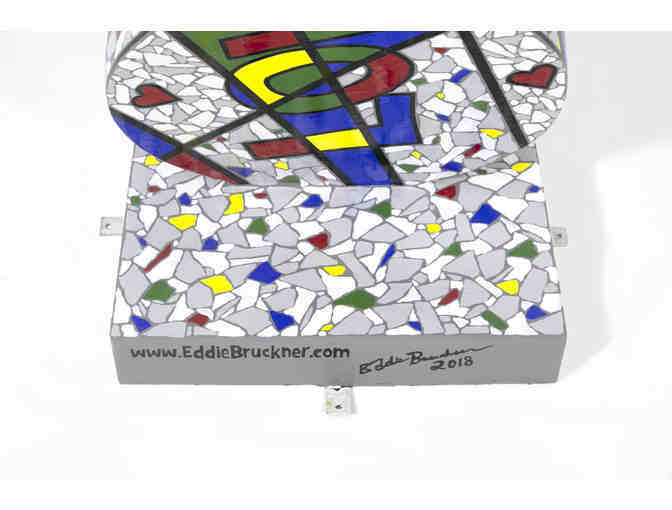 Eddie Bruckner is inspired to create visual parallels of world impressions using these techniques. 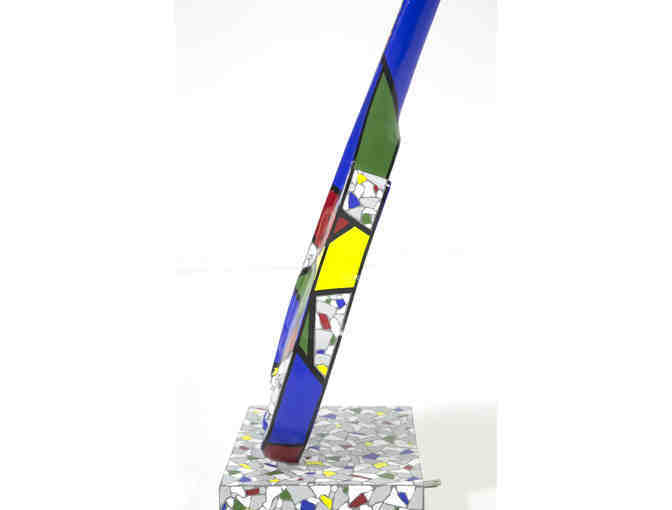 This illusion of mosaic tile provides cohesion to his body of work and serves to provide balance, repetition, movement, and other elements of strong artistic design & composition. 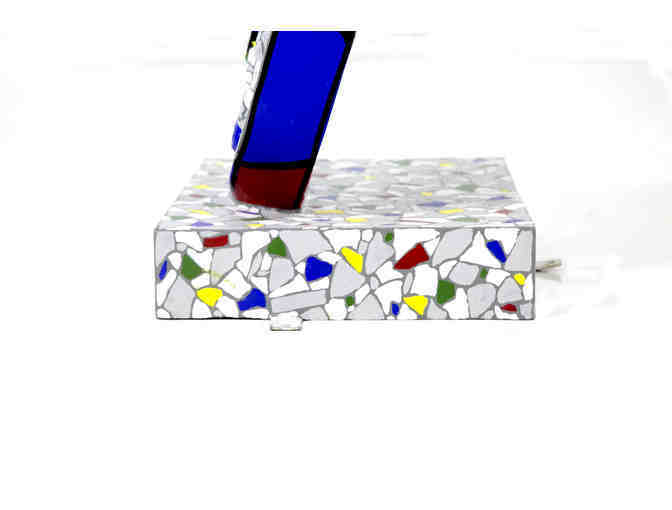 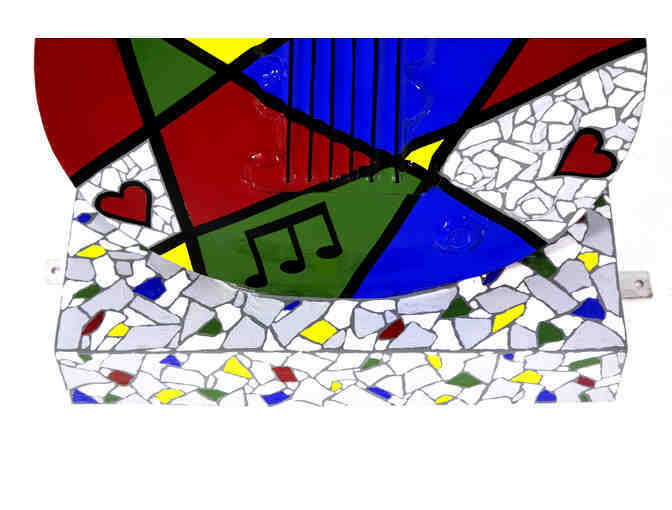 Eddie thinks about the mosaic element as confetti, to further his goal of conveying fun, exhilaration, and happiness. 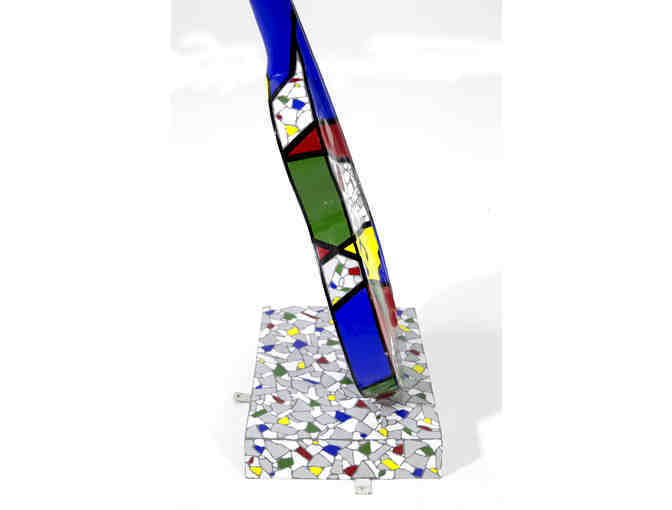 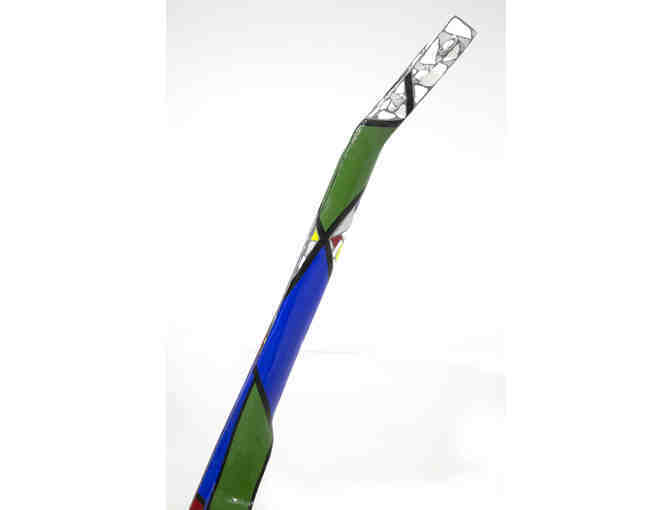 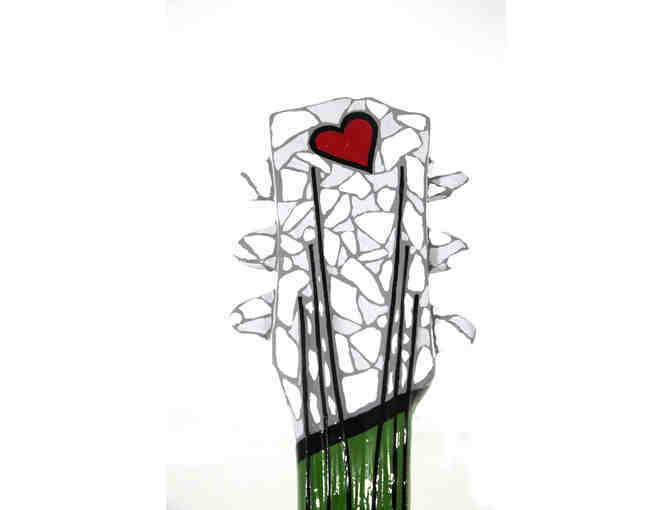 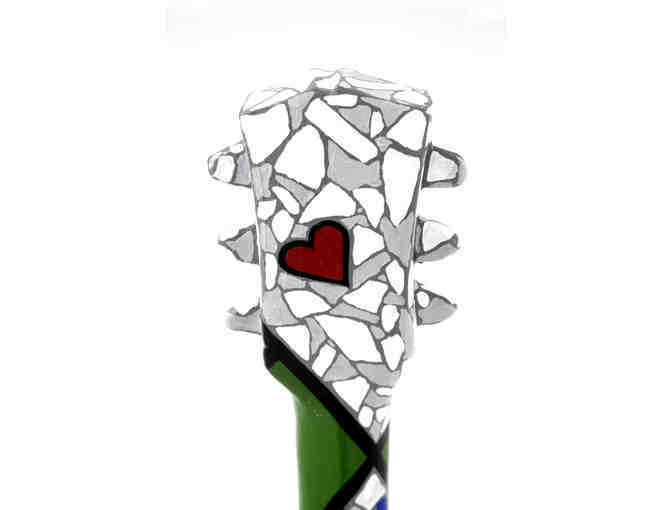 The mosaic patterns add life and positive energy to his work. 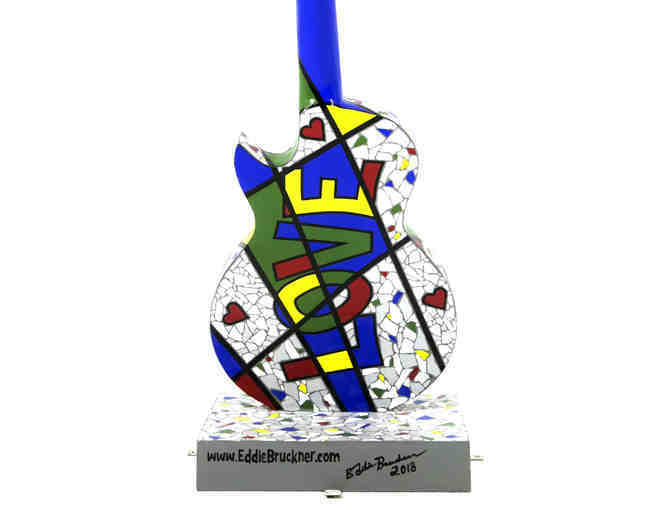 Eddie’s guitar is about having fun, bringing a smile to people’s faces, and at the same time, providing a unique way of experiencing some of our most familiar objects, places, or people.